Rubi 10mm Scoring Wheel - ONLY £7.99 (+VAT) - SAVE £1! 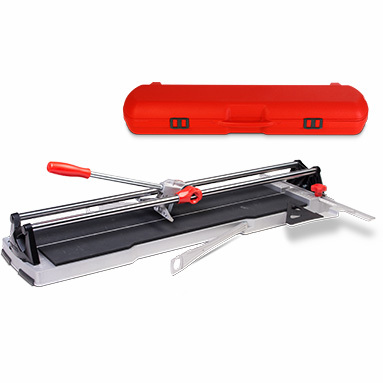 Rubi Speed 92 N manual tile cutter. The most versatile cutter in its class. Reinforced structural elements for greater robustness. High power mobile breaking system. For the frequent cutting of glazed stoneware and tiles and occasionally for porcelain tiles. Chrome plated steel guides for resistance to corrosion. Aluminium base for greater robustness, lightness and ease of transport. With lateral stop for repetitive cuts and 45º square. Max cutting length: 92cm (36"). Max diagonal cut: 65x65cm (25x25"). Includes: 8mm scoring wheel and robust plastic carry case.